Kick off your summer in Pigeon Forge. Pigeon Forge is the ideal place to kick-start your summer. 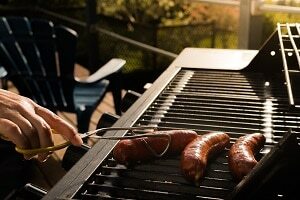 The weather is perfect for outdoor activities, live music festivals, and of course, a family BBQ. Pack the car, book a cabin, hotel or even a campsite, and make this the best Memorial Day Weekend for your family. There are more than enough things to do outdoors in Pigeon Forge and the Smoky Mountains to fill your entire Memorial Day weekend. If everyone in the family is pretty steady on their feet, take on bigger adventures like waterfall hikes or whitewater rafting. Include the little ones in scenic drives, flat and easy hikes, or by taking advantage of the start of the season at Dollywood’s Splash Country. There’s never any shortage of live music in Pigeon Forge. And lucky for you, Memorial Day Weekend will be no exception. Hang out at Margaritaville and enjoy other free events at The Island; the music lovers in your family will never want to leave. If you’re ready to mix it up, take in a hilarious show at the Comedy Barn or Pirate’s Voyage. 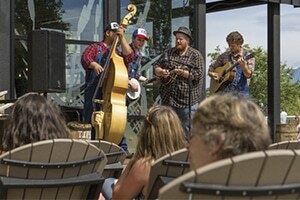 Looking for a festival that’s unique to summer in Pigeon Forge? 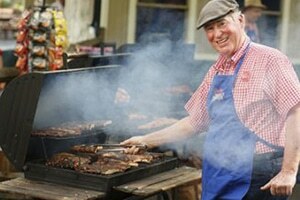 Plan your trip around the Dollywood Barbecue And Bluegrass Festival. If you’re into cars, there’s no better way to spend a day than at the Pontiacs In Pigeon Forge Car Show. Plus, let’s not forget the real reason for the long weekend: Memorial Day is a time to remember those who have given the ultimate sacrifice. Pay your respects at Patriot Park, the outdoor space dedicated to veterans from Sevier County. The park’s walking track provides an opportunity for reflection as you gaze upon flags from the 50 states and branches of the armed forces. Many Pigeon Forge hotels and resorts offer vacation packages for holiday weekends. If you’re looking to get more summer fun while staying in your family’s budget, check them out! 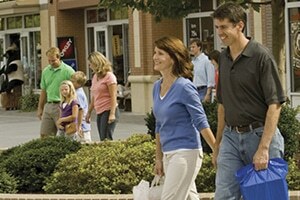 While you’re in the savings mindset, why not scope out Memorial Day sales at Pigeon Forge malls, outlets and shopping centers or at nearby Tanger Outlet in Sevierville. Take advantage of cabin specials over Memorial Day and make it your home away from home. Invite all your friends and family from the area to come on by for a BBQ. Most cabins come complete with all kinds of amenities including grills, pool tables, theater rooms, hot tubs and plenty of ways to entertain everyone who comes to stay for the weekend. Now that you’ve got your first summer vacation booked and all planned out, why not think ahead to a Labor Day getaway? Pigeon Forge has plenty to do to keep the family having a blast all summer long!